In today’s modern world, the need to be physically fit is necessary for good health and personal well-being. Skinny models and celebrities in sports, T.V. etc. are not the only ones required to be trim in physique. All walks of life from young to old, students to employees, career-oriented men and women to house wives and home bodies are concerned with their weight not only because of its effect on physical health but also due to its impact on a person’s emotional, mental, and social life. Overweight, if not obesity is associated with health risks such as heart and cerebrovascular diseases as well as responsible for triggering diabetic attacks and worsens cases of certain illnesses. Thus, maintaining recommended body mass index or weight according to height and age helps in prevention of these health issues. This in turn affects a person’s emotional and mental stature since feeling good about one’s self outside mirrors what he or she will feel and think of from the inside. Lastly, this is not to justify vanity, but one’s social life is directly impacted by insecurities brought about by being different in terms of weight. In the corporate ladder as well as other institutions, i.e. school for example, physically trimmed individuals are most often the ones who excel in their endeavours due to the confidence which maybe brought about by their good physical stature. Maintaining ideal weight or achieving weight loss needs techniques, methods, and even products. These can be grouped into two: exercise and diet. We are well acquainted with gym and sports related activities. 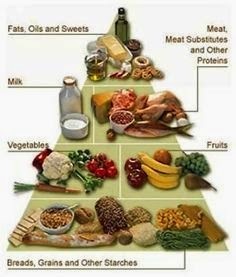 We have also seen guidelines to proper diet that may include food pyramid diagrams and even recipes which promote the type of diet one will follow. Hundreds of weight loss pills have been introduced over the past few years yet in all the labels and pamphlets of such products; exercise and proper nutrition are never omitted from the readings. This is why although this writing is tagged under weight loss diet; we recognize that diet is always accompanied by exercise so we still talk about diet as if it is synonymous to exercise. But what if you get all two through one? Yes, there is a supplement which will assist you in your diet and exercise. This is where protein’s role in effective weight loss diet comes in. Physical activity induces burning of body fats which helps in loosing unwanted extra weight. These fats are useless anyway if not converted to energy. Thus exercise provides energy and beats unnecessary storage of excess body fats. Being tired afterwards though triggers hunger, thereby, battling against the needed diet that should normally accompany exercise. With thus, others resort to merely focus on dieting alone and shy away from participating in strenuous exercises. Applaud is for those who can control their eating habit because appetite is but a normal function in human anatomy. Some aid themselves from denying the temptation of food through diet pills which usually kills one’s appetite for food although one still feels the normal bodily reaction to hunger. Most of these pills have natural herbs and spices as ingredients while some are chemical-based but side-effects may turn you off depending on how your body responds to the formulation. There may be those who can exercise and practice dieting at the same time but for those who cannot, adding protein in your weight loss regime will have you accomplish both. Protein in protein-rich foods such as lean meats and beef, poultry products (chicken and other fowl meat as well as eggs), fish, nuts, beans, and milk may suppress appetite to help with your diet yet at the same time assists in keeping muscles lean while fat is burned away during exercise. You can incorporate specific protein-rich foods in a designated meal of the day like eggs and milk for breakfast, meat for lunch, fish and beans or beans for dinner. Three major meals in a day are normal in a human diet but if you can lessen servings in smaller meals and have your three divided into six eating instead, then that is better. By doing so, your weight loss practice is improved because metabolism is aided when food is lessened and thereby digested easily. If a busy work schedule prevents you from planning these courses everyday or maybe you simply get bored by a routinely performed type of eating, protein supplements can ease the tension. These supplements are available in different forms; one of those is the more popular powdered version which can be dissolved like any other drink. Some fruit shake stands have even come up with personalized ideas of protein shakes with a twist of milk, chocolate, yogurt or fruits. Let’s not forget protein energy bars that can replace the effect that chocolate bars give when energy is released from storage in body fats. There is encapsulated protein as well that you can take in with clear water as you would any other vitamin or mineral supplement. Most gym enthusiasts are protein fans already because gym places have protein supplements handy and the concept of protein aiding not only in weight loss but in muscle gain as well is disseminated in instructional materials and classes at gyms. So, if you would like to test the validity of protein’s role in effective weight loss diet, whether you attend a gym course or not, you can start by soliciting opinions of those who have tried and tested specific brands of protein products like regular gym buffs. You can also listen to professional advice from weight trainers and athletes whose lifestyle embodies the clean way of losing and or gaining weight without resorting to drug abuse. Protein’s role in effective weight loss diet, although is not yet as established as gym exercises or exercise machines being advertised on shopping networks nor as acceptable as diet pills and dieting regimes; supports both exercise and diet as detailed above, it is the best supplement there is to an effective weight loss diet.